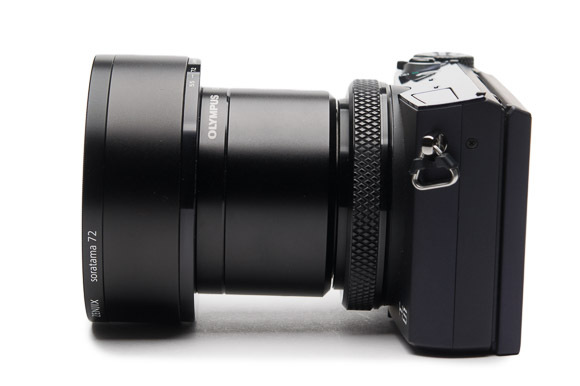 Remarks: By using conversion lens adapter CLA-12 from Olympus, 55mm filter can be fixed. Because the inside of the tube gets reflected on the picture, there is a need of trimming. The focus mode should be AF macro or manual.